Bill Sundahl became Development Director in July of 2017. He joined KKFI 90.1 FM in May of 2014 as Events & Volunteer Coordinator. He has completed the Fundraising Leadership Series at Midwest Center for Nonprofit Leadership in the UMKC Henry W. Bloch School of management and is working to expand the fundraising capacity of KKFI. Prior to that he was owner of Spice of Life Productions. For more than a decade he has produced the Crossroads Music Fest, the Spring Dance, The Donkey Show. and many more great Kansas City events . He is also a working musician, playing bass and singing in the Starhaven Rounders. Bill was honored with an Urban Hero Award from the Kansas City Downtown Council in 2007 and has won two Pitch Music Awards. He currently serves on the Advisory Board of the Midwest Music Foundation. Mike has served as Chief Operator/Traffic Coordinator at KKFI 90.1 FM since 2010. He has also worked in technology and customer service positions for Sprint and ADS, as well as for the US Census Bureau. He serves on the program committee for the American Friends Service Committee and is a board member of Sustain Our Spaces. 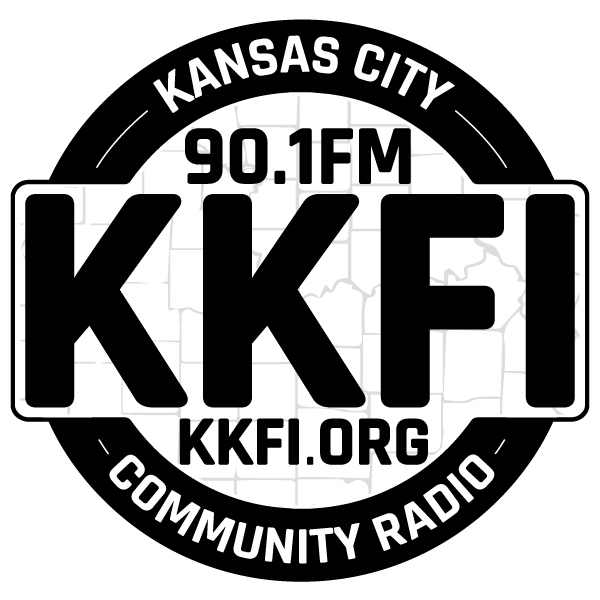 To learn more about Supporting KKFI and spreading the word about what you do Click Here. If for any reason you need more help please contact the Underwriting Coordinator. 816-994-7869 or email Development (at) kkfi.org.